Mar. 20, 2018 8:45 a.m.
A teenager wounded a girl and a boy inside his Maryland high school Tuesday before an armed school resource officer was able to intervene, and each of them fired one more round as the shooter was fatally wounded, a sheriff said. 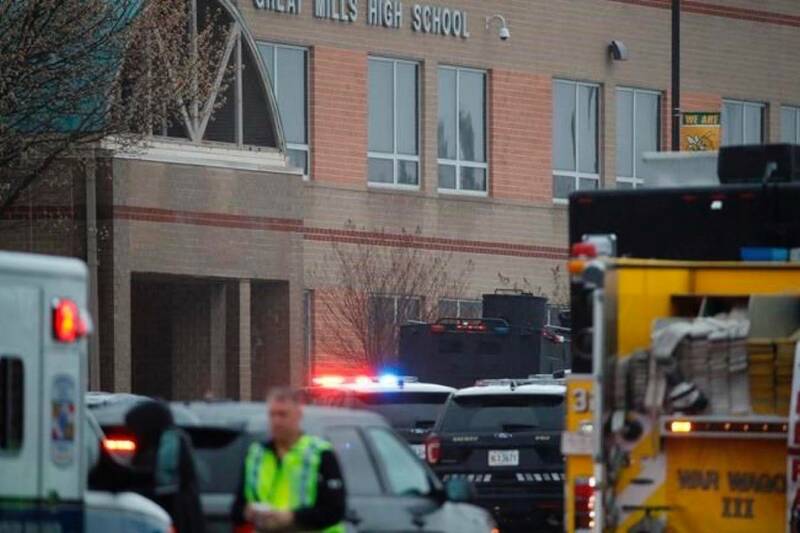 The St. Mary’s County Public Schools said the situation was “contained” after the shooting at Great Mills High School, which has about 1,600 students and is near the Patuxent River Naval Air Station, about 65 miles (104 kilometres) southeast of Washington.